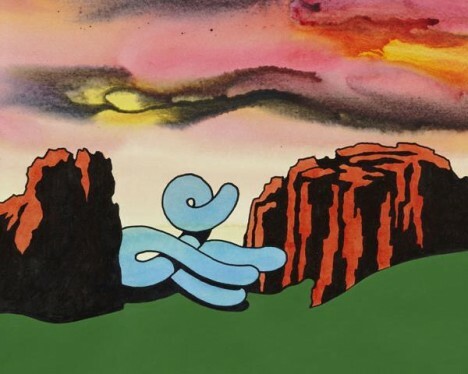 This exhibition marks the first survey of drawings by Ken Price, an artist best known for his sculptural work, at The Drawing Center. A selection of 65 works on paper will track Price’s pursuit of drawing over 50 years and will demonstrate a wide range of characters and techniques. This exhibition will open concurrently on June 18 with the Metropolitan Museum of Art’s presentation of the traveling retrospective of Price’s sculpture that originated at the Los Angeles County Museum of Art. Ken Price: Slow and Steady Wins the Race, Works on Paper 1962–2010 will travel to Albright-Knox Art Gallery, Buffalo, New York, from September 27th, 2013 – January 19th, 2014 and the Harwood Museum of Art, Taos, New Mexico from February 22nd – May 4th, 2014.